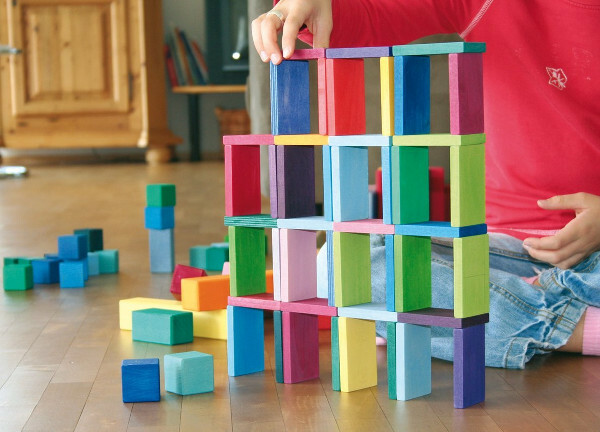 There’s no excuse for boring building blocks these days. 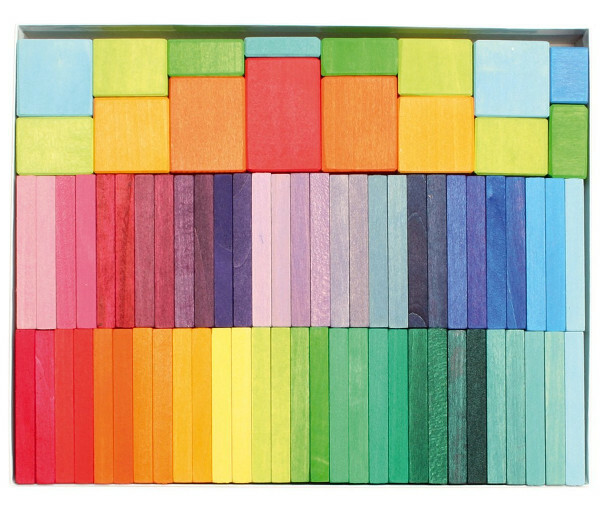 We’ve found some amazing blocks in all the colours of the rainbow and more. Anyone who loves beautiful European wooden toys and blocks really needs to take a (not so) quick trip to see the wonder at Grimm’s Spiel Und Holz Design. It’s a feast for the eyes, with stunning brightly coloured wooden toys for all ages from birth upwards. Among the huge array of offerings, we discovered the Colour Charts Rally (pictured) which are building blocks varied enough that you can make all kinds of things with them – from houses and streets to a domino express. The colour variations in these blocks provide so many opportunities for children to explore colour and see how it develops and the range from Grimm’s Spiel und Holz is absolutely mindblowing. In Australia, Grimm’s Spiel und Holz is distributed by Honeybee Toys, who are selling the Grimm’s Colour Charts Rally for $110. 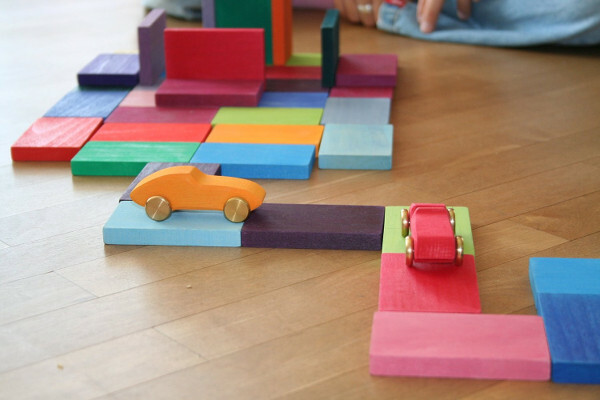 To check out the whole range of Grimm’s blocks, visit Honeybee Toys. We love blocks at Babyology! Why not grab a cup of tea and check out all our past posts.